It is with great sadness that the family of Cynthia Tillman Wetherill wishes to announce her recent passing, in Alexandria, Virginia, after a lengthy illness. Born in Scranton on September 6, 1958, Cindy was the daughter of the late Pauline Urbanowicz Tillman and Stanley Tillman. 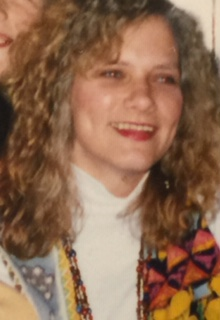 Raised in Dickson City, Cindy was a 1976 graduate of Bishop O’Hara High School. She went on to study at George Washington University Hospital where she earned her degree in nursing. 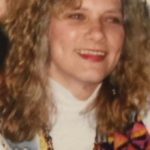 Prior to her retirement, Cindy worked as a cardiac care nurse. Gifted artistically, Cindy was witty, intelligent and carefree. She appreciated fashion as well as antiques. She enjoyed quilting, reading good books and listening to music. Above all, she loved her family. Cindy is survived by her son, Joseph Pollock of North Carolina. She is also survived by her loving sister, Barbara J. Munley of Rio Rancho, New Mexico and her brother, Lawrence Tillman of Narragansett, Rhode Island. Cindy is also survived by cousins, nieces and nephews. She will be fondly thought of by family members Christopher J. Munley of Scranton and Danielle Munley of Tunkhannock. Cindy was preceded in death by her caring sister, Helen J. Bennett. Cindy will be laid to rest with her mother in St. Mary’s Cemetery of Dickson City. Services will be private and at the convenience of her family. In keeping with her love of all animals, memorial contributions can made in Cindy’s name to a charitable pet rescue of the donor’s choice. Anthony P Litwin Funeral Homes Inc.